With life getting busier by the day, we understand how stressful it can be looking for second hand cars in Brantford. Budds’ BMW in Hamilton makes it easier than ever before to find a premium quality second hand BMW automobile that will exceed your expectations. Whether you’re looking for a reliable and comfortable family-friendly BMW automobile, or you’re looking to purchase a sports car, visit our Budds’ BMW dealership in Hamilton and for assistance with the vehicle that best suits your lifestyle. Our online gallery provides a stress-free way for you to gain an idea of the second hand cars that our Hamilton dealership offers to Brantford residents. Find all of the details in a few simple clicks. Searching for second hand cars has never felt so natural. You can now do it right from the comfort of your own home. Providing our Brantford clients with an enjoyable experience doesn’t just end with your online search. We encourage Brantford residents who are looking for second hand cars to come into our Hamilton dealership and meet with the Budds’ BMW team. We’d be happy to give you a tour of our showroom and allow you to test drive any of our top quality second hand cars that are available to Brantford citizens. Every vehicle that we carry drives differently; so it is essential to test drive them to make the best decision depending on your personal driving preference. Our Hamilton team at Budds’ BMW makes a great deal of effort to create lasting connections and provide exceptional customer service to all of our clients. We encourage Brantford residents to come into our dealership any time they have enquiries or would simply like to connect with like-minded individuals. 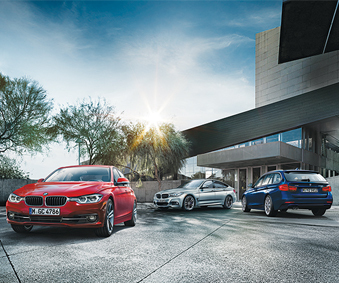 Become a part of the Budds’ BMW community. Whether you are looking to purchase your first BMW automobile or you’ve been with Budds’ BMW for years, know that we are here to help you get the most out of your BMW experience. Our highly skilled automobile mechanic staff knows how to provide your vehicle with the best service possible. This is another way that we ensure all of our second hand cars provide our valued Brantford clients with a long lasting, smooth and comfortable drive for years down the road. Whether you need an oil change, or you need us to custom order parts for your quality BMW car, we are confident that we can service your vehicle in a timely manner so that you have it back on the road without a hitch. Book an appointment online to have your vehicle serviced, or to simply enquire about second hand cars that we provide to Brantford residents. We look forward to helping you on your journey to becoming a proud owner of a premium BMW automobile.